Another heating season is drawing to a close, and with it comes the need to assess your heating system and determine the need for repairs. A good maintenance session can be just what you need to catch any lingering issues that may cause a shutdown or similar repairs. Among the things to keep an eye out for when assessing damage to your system is the presence of high amounts of dust in your air. Dust and dirt are common in our part of the world, and that can have a surprising effect on your heating system. Without preventative care, it can have a huge impact on heating repair services. Dust becomes most troublesome when it coats moving parts, such as the blower apparatus that pushes heated air into your home. high amounts of dust result in friction, which can, in turn, cause a breakdown if you aren’t careful. Similarly, dust and dirt can form clogs in the burners, which reduces heating power and increases strain on the system as a whole. Dealing with such issues can become a chore if you’re not careful. 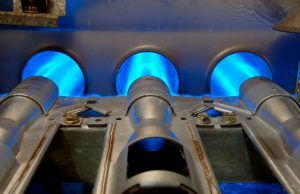 A good maintenance session can clean up clogged burners and similar issues very quickly. But if you want to deal with the problem in a more comprehensive way, look for an electronic air filter to be installed in your system. It uses an ionization chamber to capture dust and cause it to stick to a collection pan. Not only will it make your household air cleaner and healthier, but if you’re dealing with issues like high friction and clogged burners in your heating system, it can be a great way to prevent the problem from even getting started. For heating repair in Bulverde, TX, always call on the friendly professionals at D’Spain Sales & Service, Inc.
How Do Commercial HVAC Systems Differ from Residential Systems?